Whether it is arguable that limitations on the exercise of the right to an effective remedy before an independent tribunal for EU citizens whose data privacy rights are infringed by the intelligence agencies are not proportionate or necessary or needed to protect the rights and freedoms of others? Costello then noted that neither “the introduction of the Privacy Shield Ombudsperson mechanism nor the provisions of Article 4 of the SCC decisions eliminate the well-founded concerns raised by the DPC in relation to the adequacy of the protection afforded to EU data subjects whose personal data is wrongfully interfered with by the intelligence services of the United States once their personal data has been transferred for processing to the United States.” She therefore proposed to refer the SCC decisions to the CJEU for a preliminary ruling. The validity of the SCC Decisions is not under immediate threat. 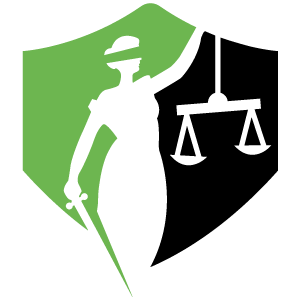 The DPC has stated this “decision does not invalidate the SCCs (nor the Privacy Shield); neither does it prohibit their continued use.” What will happen next is that Costello will take submissions from the parties before framing the questions to be asked of the CJEU on the basis of those submissions. These questions will then be referred to the CJEU, unless someone challenges the decision of Costello before the Irish Courts. Submissions may then be made to the CJEU, itself, and an opinion of that Court’s Advocate General may be given before the CJEU will answer questions it has been asked. This process will take time. 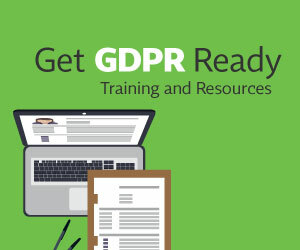 It may well stretch beyond May 25, 2018, at which point the General Data Protection Regulation (GDPR) will apply. Article 3 of the GDPR grants EU data protection laws a global jurisdiction. It may be that the conferral of a global jurisdiction upon EU data protection laws will address some of the concerns raised in Data Protection Commission v Facebook & Schrems. However, whether the CJEU considers this point may depend upon the questions that are asked of it and the submissions that are made to it. The key fact that seems to have been missed is that the entire point of SCC is that they provide a transfer mechanism when the recipient organisation is in a non-adequate country! They are not the same as Privacy Shield. Every government in the world carries out surveillance but the SCCs contain obligations on the sending and receiving organisations to protect the data precisely because the destination country laws  cannot be relied on in and of themselves. The question to the CJEU should be about whether the obligations and safeguards in the SCC are enough and appropriate given they are to be used in situations where the destination country has not been found adequate. Companies cannot start having to consider the surveillance regime and access to justice system for every single country without an adequacy decision! Companies will be using SCC to transfer data to other companies in China and Russia - where are the howls of protest about that?! “The Commissioner welcomes the High Court’s judgment and its decision to refer a number of questions to the CJEU, as requested by the Commissioner.